Ride in the land of royals with this Rajasthan motorbike tour. 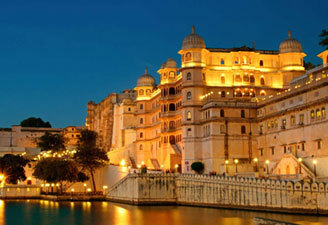 Ride through some ancient cities of Rajasthan while exploring its intricately designed havelis and palaces. Royal Rajasthan motorbike tour is great for those who wish to experience this state like a local. 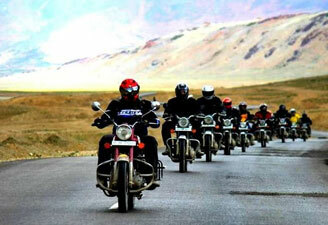 Travelers opt for Rajasthan motorbike tour adventure for a new experience. Thousands of people plan trip to Rajasthan to know about this richest Indian state where many historical tales still breathe. Contact us for Rajasthan Motorcycle Tours and we will plan your dream holiday on your favourite bike. 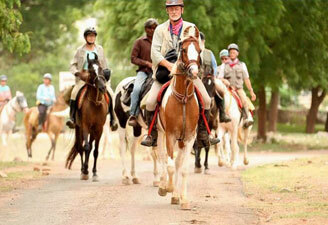 Rajasthan motorbike holidays are perfect for group holidaymakers. Arrive Delhi by International Flight. Meeting and assistance on arrival and transfer to hotel. Collect your bikes & check bike functions. Overnight stay at the hotel. Start Rajasthan motorbike tour early in the morning to avoid city traffic on your drive to Jaipur. On arrival in Jaipur, check-in at hotel. Lunch at hotel. After lunch, explore the pink city-its majestic forts, its beautiful havelis, colorful bazaars and rich culture as a part of your motorbike tour to Rajasthan. Visit to the Maharaja's City Palace, the former Royal residence, part of it converted into a museum. A small portion is still used by the Royal family of Jaipur. Built in the style of a fortified campus, the palace covers almost one-seventh in area of the city. One of the major attractions in the museum is the portion known as Armory Museum housing an impressive array of weaponry-pistols, blunderbusses, flintlocks, swords, rifles and daggers. The royal families of Jaipur once used most of these weapons. Later in your Rajasthan motorbike tour visit the Jantar Mantar, which is the largest stone and marble crafted observatory in the world. Situated near the gate of the city palace, the observatory has 17 large instruments, many of them still in working condition. Visit Hawa Mahal & the colorful and vibrant bazaars (shopping district). Dinner & Overnight stay at the hotel. Morning half day tour Rajasthan's Amer Fort with Elephant/Jeep ride (Elephant will be subject to availability). Amer is a classic, romantic Rajasthani Fort Palace. The rugged, time-ravaged walls of the Fort may not look beautiful from the outside, but the interior is a virtual paradise. Miniatures painted on the walls depict hunting and war scenes, apart from festivals. Precious stones and mirrors are embedded into the plaster. Inside the Fort visit the Jag Mandir or the Hall of Victory. Inside the Jag Mandir is the famed Sheesh Mahal - a room with all the four walls and ceiling completely embedded with glittering mirror pieces, which were specially imported from Belgium during that period. Spend the evening in Chowkidhani in true Rajasthani style. Dinner in Chowkidhani and back to Jaipur for overnight stay at the hotel. Morning leave Jaipur for Ranthambore as a part of your royal Rajasthan motorbike tour. On arrival check-in at hotel. Ranthambore National Park - Rajasthan's first project Tiger reserve and named after a 1000-year old fort which stands in the park. It has a congenial habitat for the stately sambar, the largest of all Asiatic deer, woodland, ground and water birds abound in the park including the uncommon red jungle fowl and varieties of eagles. The water tank harbors marsh crocodiles and pythons. Evening Jungle visit in a shared Canter vehicle. Dinner & Overnight stay at the hotel. Morning Jungle visit in a shared Jeep. Afternoon short trek to Ranthambore fort. Early morning start your journey to Ajmer. On arrival check-in at hotel and Lunch at hotel. Ajmer, the most sacred of all Muslim places of pilgrimage in India. Visit The DARGAH OF KHWAJA MOINUDDIN CHISTI, popularly called Dargah Sharif or Dargah is one of the holiest of pilgrimages for Muslims in India and people from all other faiths visit the shrine as well. Dinner & Overnight stay at the hotel. Morning drive to Pushkar which is just 14 Kms from Ajmer. 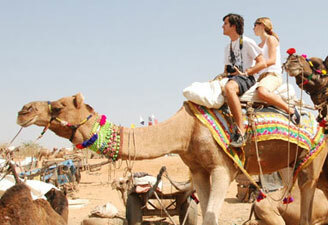 Pushkar is a great centre of pilgrimage for both Hindus and Muslims. Visit the Jagat Pita Shri Brahma Temples and Pushkar Lake & Ghats. Evening return back to Ajmer. Morning drive to Udaipur via Raj Samand from Ajmer. On arrival check-in at the hotel. Lunch at hotel. After lunch, rest at the hotel. Later afternoon Boat Cruise on Pichola Lake, 4-Km long and 3-Km broad, surrounded by splendid hills, palaces, temples, bathing Ghats and embankments. 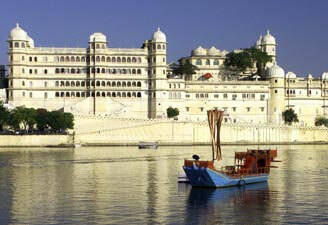 Visit the island palace Jag Niwas which is beautifully set in the lake. Morning visit the City Palace, built in 1725, which hours the Dilkhush Mahal, Sheesh Mahal - studded with glittering Belgium Mirrors, Moti Mahal and the Palace of Lord Krishna all of which are ornately decorated. Later visit the Jagdish Temple. This temple built in 1651 is dedicated to Lord Vishnu. Later visit the celebrated temple of Eklingji was built for the tutelary deity of the Maharanas of Mewar, of sandstone and marble in 734 AD. Its 108 temples are enclosed by high walls and has a paramedical roof composed of hundreds of knobs. Evening free for shopping in colorful Udaipur Bazaars. Morning leave Udaipur for Ranakpur via Tarpal & Sayra. On arrival check-in at hotel. Lunch at hotel. Later visit Ranakpur Jain Temples situated in the lovely Aravali Valleys. The Ranakpur Jain temples have grand structures and beautiful sculptures. There are 1444 pillars in the temples and no two of them are similar. Morning leave Ranakpur for Jodhpur. On arrival check-in at hotel. Lunch at hotel. Evening explore the colorful crowded bazaars. Dinner and Overnight stay at the hotel. Morning city tour begins with the visit to 5-km long Mehrangarh Fort situated on a 125-mt high hill. This is one of the most impressive and formidable structures in Rajasthan. Within the fort are some magnificent palaces with meticulously carved panels, latticed windows or "Jarokhas" with evocative names. The chambers of Moti Mahal, Phool Mahal, Sheesh Mahal, the Sileh Khana and the Daulat Khana are noteworthy for the splendour and glamour of a bygone era. Later visit the Jaswant Thada - a cluster of royal cenotaphs in the white marble built in 1899 AD in memory of Maharaja Jaswant Singh-II. Lunch at hotel. Rest of the day at leisure. Morning start drive to Jaisalmer. On arrival check-in at hotel. Lunch at hotel. Later visit Patwon ki Haveli, a five-story mansion with carved pillars and murals; Salim Singh and Nathmalji ki Haveli. Also visit the shopping district in the evening. Morning visit the Citadel, the fort built by Rawal Jaisal where a fourth of the population lives. Also visit Jain temples of the 12th to 15th centuries. Lunch at hotel. Evening enjoy Camel ride at Sam Sand Dunes through the desert to watch sunset. Morning leave Jaisalmer for Bikaner via Pokhran. Enroute Lunch in Pokhran. On arrival in Bikaner, check-in at hotel. Dinner & Overnight stay at the hotel. Morning city sightseeing of Bikaner. The city is bolstered by imposing walls and has a 16th century fort housing old palaces, temples and a mosque. Founded by Raja Rai Singh, the fort is distinguished by its long range of 37 pavilions, a line of balconies and aerial windows of varying designs. An enormous arched doorway leads to the Joramal temple. The royal chapel is Har Mandir where royal weddings and births were once celebrated. Afternoon visit Deshnok Temple, 30 Kms from Bikaner, the 600 -year old temple is dedicated to Karni Mata. It plays host to thousands of rats. The rats are considered sacred and worshipped. The temple has huge intricately silver gates donated by Maharaja Ganga Singh. Morning drive again to Pink city Jaipur via Fatehpur & Sikar. On arrival check-in at hotel. You get a last opportunity to do some shopping and carry back some mementoes apart from memories. Dinner & Overnight stay at the hotel. Morning leave Jaipur for Delhi. On arrival in Delhi, upload bikes for return to drop at International airport to board flight for onward destination.